Under the anti-abortion law, a doctor can be sentenced to two years in prison for carrying out an abortion procedure. Seoul, South Korea: South Korea’s Constitutional Court has recently ruled as “unconstitutional” a 66-year-law that made abortion a crime punishable by two years imprisonment. A panel headed by nine judges declared the ruling in a 7-2 vote, in response to a complaint filed by an obstetrician in the year 2017, who is on trial for performing multiple abortion procedures. This decision has apparently signalled a major victory for those who campaigned extensively for the abolition of the strict and controversial legislation. Under the anti-abortion law, a doctor can be sentenced to two years in prison for carrying out the procedure. Besides, a pregnant woman, undergoing an abortion, can be jailed for a year or cough up a hefty fine of 2 million won (approx Rs 1.20 lakhs). During the ruling, the court stated that the anti-abortion legislation under the criminal law is against the Constitution and directed allowing termination in the early stages of pregnancy, Yonhap News Agency reported. 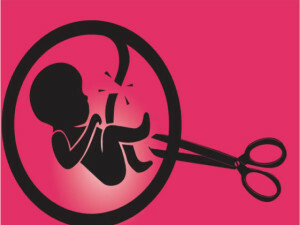 It also termed the move unfair to give more importance to the value of protecting a foetus’s life, when the law violated the dignity and rights of a woman.